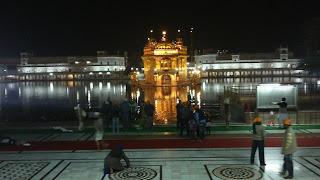 The Harmandir Sahib, Darbar Sahib (meaning The Abode of God) or simply the Golden Temple in of Amritsar Punjab, India is the most popular and beautiful Gurudwara in the world. 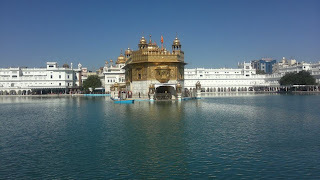 Harmandir Sahib was built by Arjan Singh, 5th Sikh Guru. 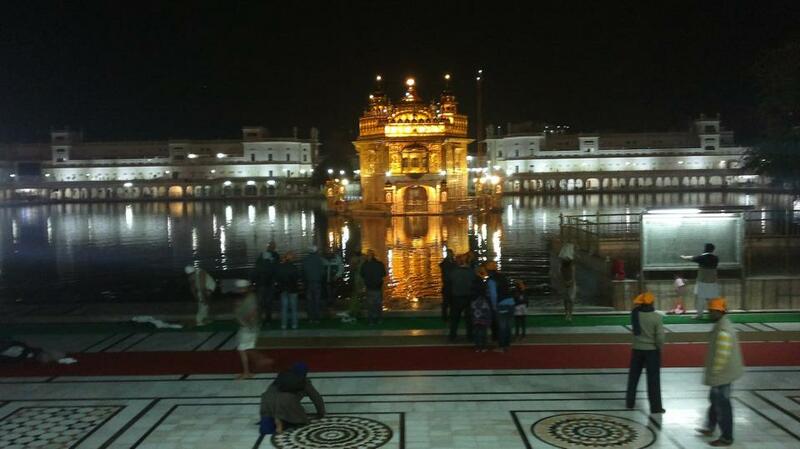 Gurudwara has four large doors in all four sides, which symbolises its openness to all people and religions. 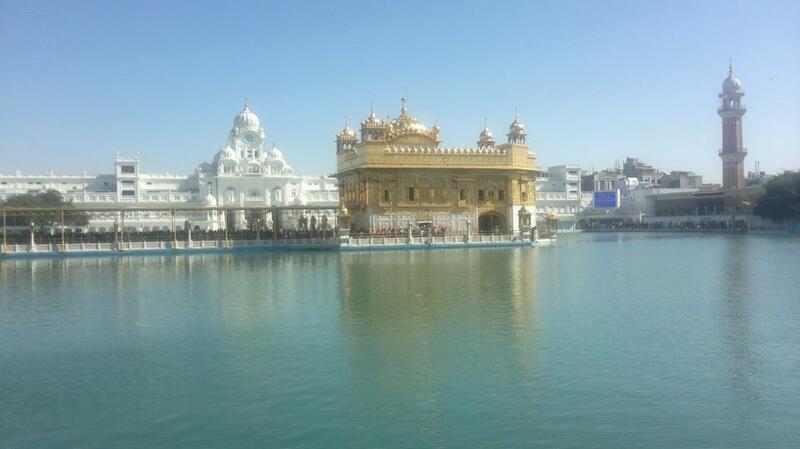 The Harmandir Sahib was rebuilt in the year 1764 by Jassa Singh Ahluwalia along with other Sikh Misls. 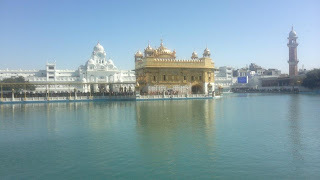 Golden cap or of Gurudwara was built by Maharaja Ranjit Singh in early nineteenth century. The Temple of Srirangam Sri Ranganathaswamy Temple, in the Indian city of Tiruchirapalli (or Trichy), is the largest functioning Hindu temple in the world. It was Constructed in the Dravidian style of architecture, this temple is glorified in the Divya Prabandha and is dedicated to Lord Vishnu. It is one of the most illustrious Vaishnava temples in South India rich in legend and history. The temple is vulnerable to natural disasters as its located on the Islands of river Cauvery. The main entrance, known as the Rajagopuram, rises from the base area of around 5720 sq ft and goes up to 237 feet, moving up in eleven progressively smaller tiers. The annual 21 day festival conducted during the Tamil month of Margazhi (December–January) attracts lot of visitors here. comprises 26 acres. The major part of the funds needed to buy this land was donated by Ardishír Rustampur of Hyderabad, who gave his entire life savings for this purpose in 1953.
temple crafted entirely of stone, the complex features exhibitions on incidents from the life of Swaminarayan and the history of India.The main monument, at the center of the complex, is 141 foot high, 316 foot wide and 356 foot long. The whole monument is designed from top to bottom with carved details of dancers, musicians, and deities. features the Gajendra Pith at its base, a plinth paying tribute to the elephant for its importance in Hindu culture and India's history. It contains 148 scale sized elephants in total and weighs a total of 3000 tons. high. The murti is surrounded by similar statues of the gurus of the sect. Each murti is made of panch dhaatu or five metals in accordance to Hindu tradition. Also within the central monument lie the murtis of other Hindu deities, including Sita Ram, Radha Krishna, Shiv Parvati, and Lakshmi Narayan. 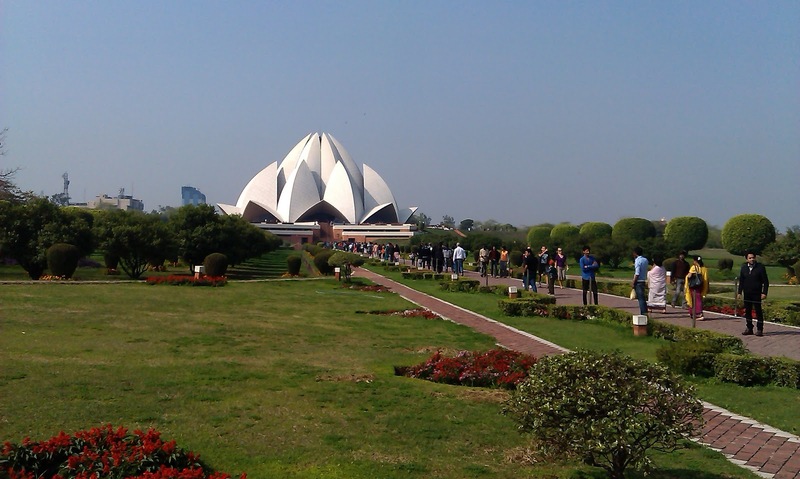 Birla Mandir or Laxminarayan Temple is dedicated to Lord Vishnu, the preserver and his consort, Goddess Lakshmi. The architecture of the Temple looks imbibed from the Orissan Style. The temple has tall spires and it looks magnificent raised in red sandstone. The tallest spire of the temple extends to the height of 165 feet whereas the additional spires lengthen to 116 feet. The beautiful structure of the temple comprises sculptures, tall spires and Jali work making it a beautiful temple. The temple was inaugurated by Mahatma Gandhi and was built by B. R. Birla and Jugal Kishore Birla between 1933 and 1939. The side temples are dedicated to Shiva, Krishna and Buddha. The temple spread over 7.5 acres, is adorned with many shrines, fountains, and a large garden, and also houses Geeta Bhawan for discources.